President Trump has repeatedly expressed his willingness and authority to declare a state of emergency in order to build a barrier at the southern border, but has thus far stopped short, with a desire to see Congress do its job. 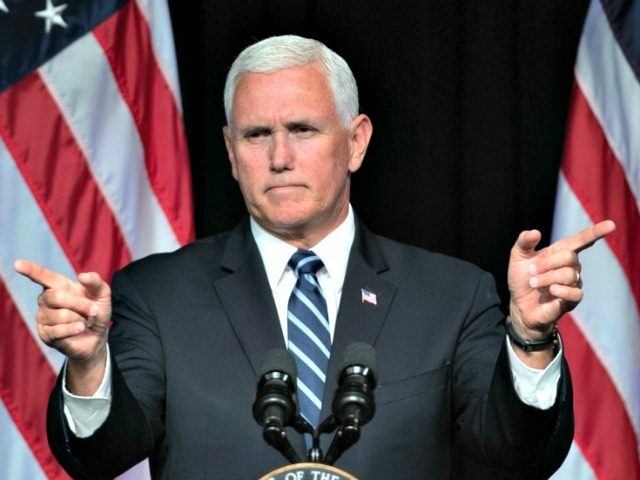 Pence pointed to Coast Guard and joint task force interdictions along the “east coast, through the Gulf of Mexico, and along the southern border” as evidence of the trafficking. “We are going to secure our border one way or another,” Pence stated unequivocally. The federal government entered a 35-day partial shutdown over late December and January, a fact Pence also touched on during his address. He thanked the group for enduring and serving through it. “The President and I couldn’t more grateful or couldn’t be more proud of all our federal employees and their families who rose to the challenge, stayed on task,” he said. President Trump set a February 15 deadline for Congress to fund border security and a border barrier before he allows the government to shut down again or declares a national emergency.